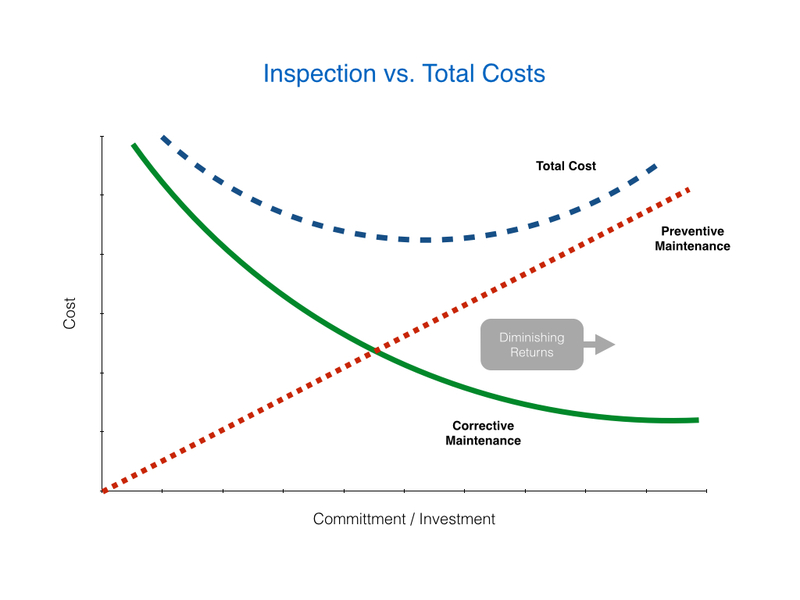 Maintenance costs are the cost of doing maintenance; be that reactive or preventive maintenance. If you perform more maintenance or spend more on maintenance such as holding spares, you may get better reliability and hence availability but your costs in doing so increase disproportionally to the increase in availability. A 1% increase in availability does not mean a 1% increase in maintenance cost. For example, you can increase the service interval of your car and it will make very little difference to reliability. It follows the law of diminishing returns. 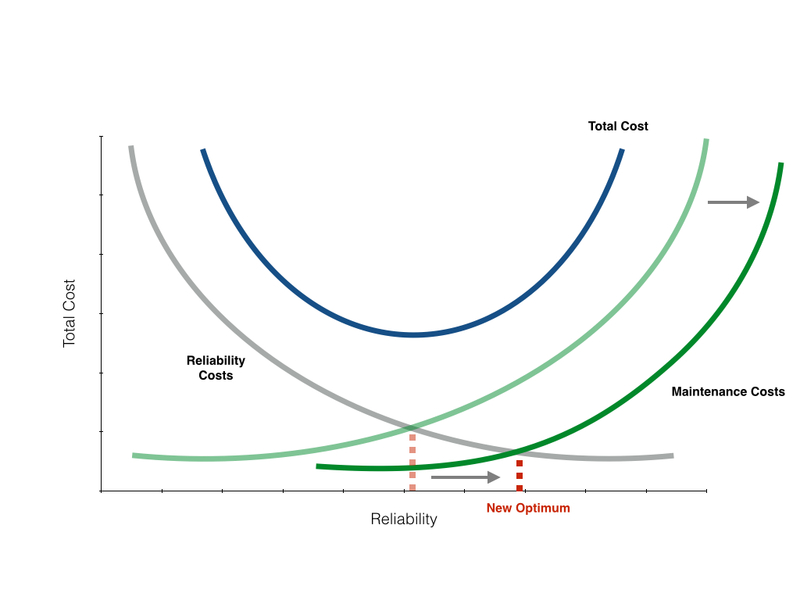 So, the most cost-effective situation is to operate at the lowest point on the total cost curve. 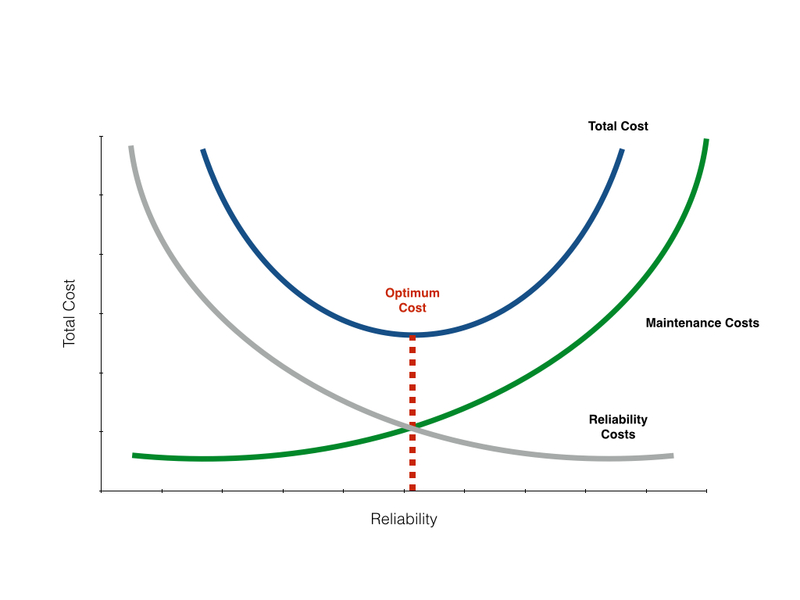 The solution is to shift the maintenance cost curve to the right by changing the way you do maintenance. In effect, you need to reduce related costs while maintaining or improving reliability. This key is to be smarter about how you manage your assets and maintenance resources such as knowledge, labor, and supplies. How do you do this? Track your maintenance activities in a CMMS. A CMMS is a great way to centralize your maintenance activities. Smarter inventory management can minimize stock on hand; reducing associated carrying costs and limiting the impact of part obsolescence, freeing up much-needed capital and increasing value for a company. Consider condition-based maintenance on critical assets in your production facility so issues are highlighted before they turn into something more serious. Use Fiix Monitoring to connect your systems directly to your CMMS and trigger work orders the moment safe operating limits are breached. Monitoring enables real-time work orders and notifications to be created from the meters, triggers, alerts, alarms and state data provided by equipment and control monitoring systems. Improve your occupational health and safety policies – Maintenance related incidents that injure personnel, damage equipment or have a negative effect on the environment will increase expenditure through litigation or imposed government penalties. These are just a few examples of what you can do to improve the way you manage your assets and strive for world-class availability of 90%+. In time, maintenance at your organization will evolve from a cost center to a value center, driving added value to the bottom line. 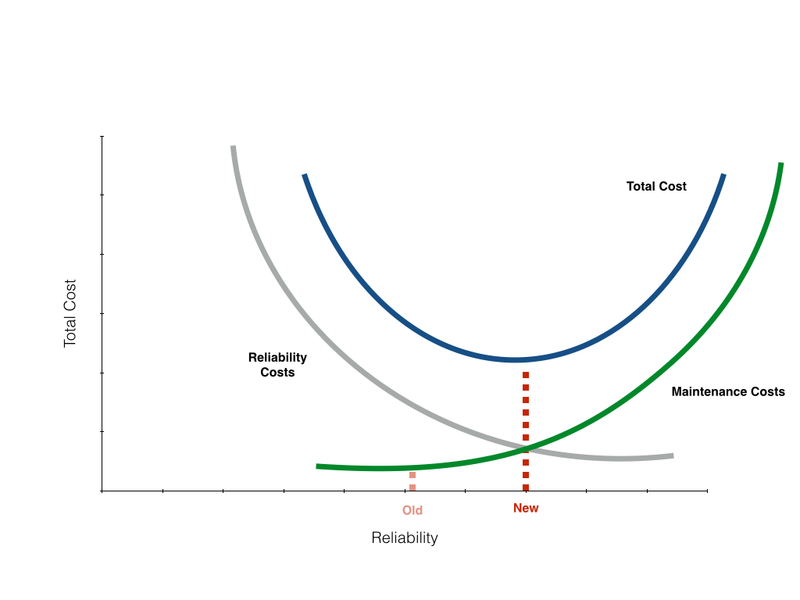 In the final graph below, we have shifted the maintenance cost curve to the right by doing smarter maintenance. The net result is greater asset reliability at a lower cost. 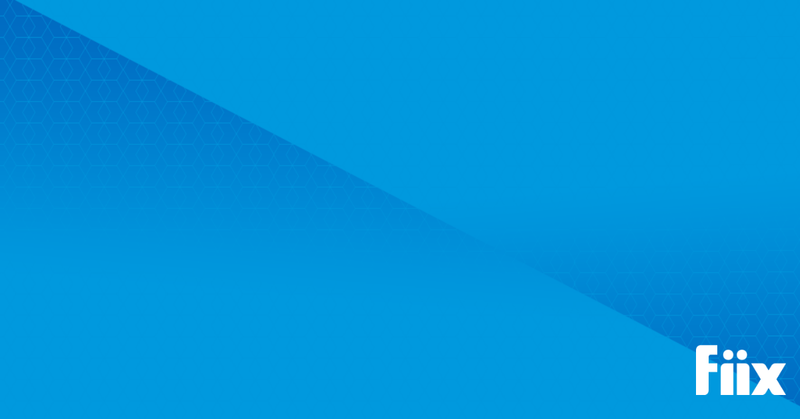 Check out the Version 5 test-drive on our homepage and see how Version 5 can improve the way you do maintenance today.